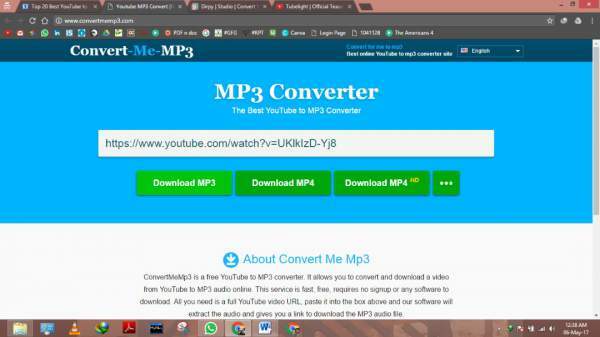 Best YouTube to mp3 Online Converters: Recently we came up with top 5 tools and apps to convert YouTube videos to mp3 on Android, iOS, Windows, and Mac OS. Now here, we are with a list of top 10 websites to do the same online itself. It’s a free video to mp3 audio ripper tool. 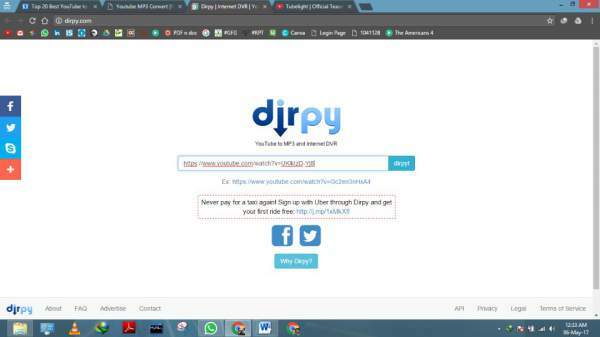 Besides YouTube, it can grab audio from a number of other sites like Veoh, DailyMotion, MySpace, Vevo, etc. 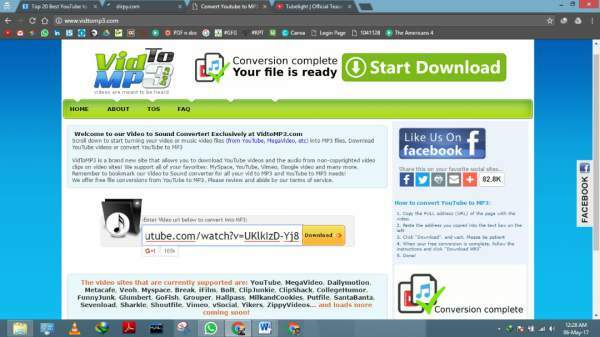 You can download/convert the video into the desired audio format like mp3, acc, WMA, wav, etc. 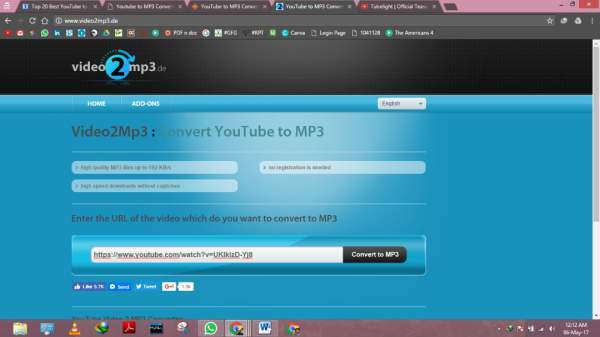 In order to convert, first, grab the video URL and paste it into the URL box and click the Convert button. Choose the settings and click the Download button. If you are looking for something very straight and simple, with no frills at all, then this is the one to go for! Simply open in a new tab in any of the browsers and paste your YouTube URL and click on convert to mp3. Within minutes you will find your content on your hard disk. 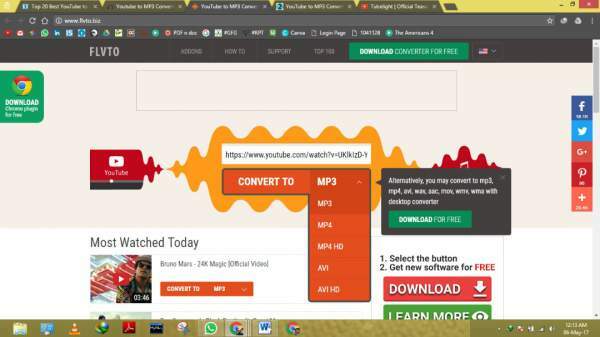 YouTube to MP3 Free Converter is one of the most used plugins and is available on almost all the popular browsers. All you have to do is to download this plugin and allow access in your browser and you are good to go. After this, you will be able to see the download option on the top right of the video itself. Simply select your desired format and the download starts! All you have to do is what we all are very good at….Ctrl C + Ctrl V. And you are done. 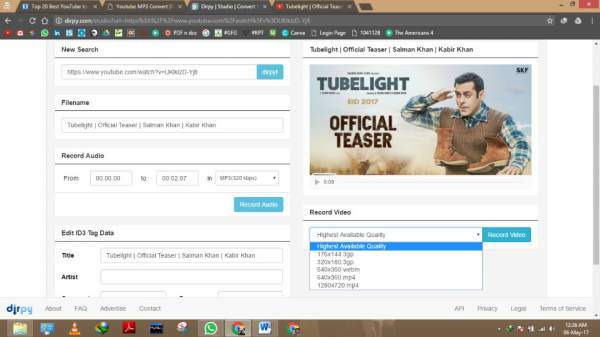 This simple tool can be used by simply opening in a new tab where you get a box wherein you have to paste your URL and click in Convert to MP3 and the download starts. You also have got the option to download the plugins for your specific browser which makes it even easier. ListenToYouTube.com is the most convenient online application for converting YouTube flash video to MP3 audio. This service is fast, free, and requires no signup. All you need is a You Tube URL, and our software will transfer the video to our server, extract the MP3audio, and give you a link to download the audio file. 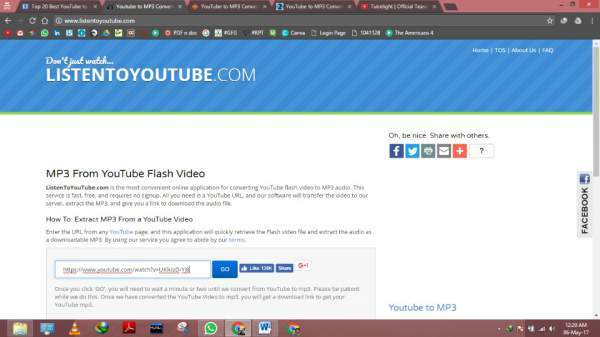 Enter the URL from any YT page, and this application will quickly retrieve the Flash video file and extract the audio as a downloadable MP3. The thing which sets this one apart from others is that it also supports, apart from You-Tube, other well-known websites like MegaVideo, Dailymotion, Metacafe, Veoh, Myspace and much more. Here also the process is the same. All you have to do is to paste your URL and click on download. And within seconds, your file will be ready. This particular website has got a different modes-Operandi. Actually, this one is an online DVR for YouTube videos .i.e. it records videos and gets them on your computer. 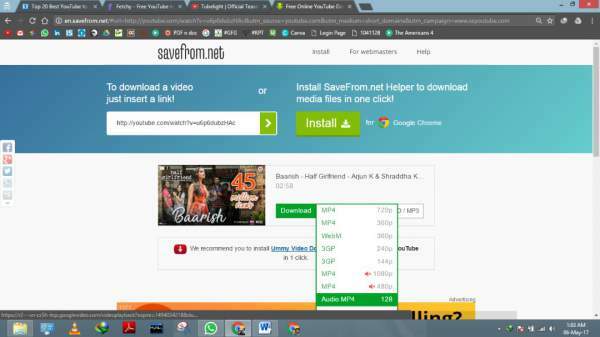 After entering the URL, you will be redirected to another page where you will get different options like recording speed, bit rate, base and much more. This one is recommended if you are a professional in the field of music. And another good thing is that you will also get many coupons and offers for a different platform from this website. This website also gives you options to save your videos in HD mp4 quality. Simply copy the URL and paste it here and click on download. The user interface is really very appealing. What sets it apart is its feature to allow browsing of videos from its very own homepage. So you don’t need to go to other tabs while using this one. Other than it gets the best possible audio format from the net and with the best playback along with the options of other video formats also being available. downloading Spotify music directly, Task scheduler, video player, and manager. Nothing is better and simpler than this and that is why it makes it to the top of the list of our top 10 online YouTube to mp3 converter. This what I personally use myself. 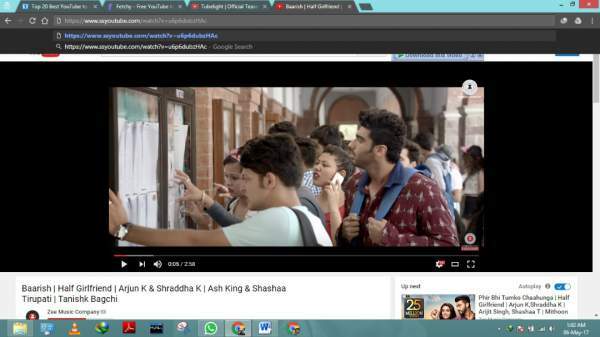 All you have to do is to search for your favorite video and put the letters “ss” just before the start of the URL in the same tab only and press enter. You will be directed to their page where you will get different options for choosing the format. Select preferred format and click on download. That’s all! And the best part is that it works very well even on your mobile browsers. Remember- just put ss just before the start of the URL and enter. 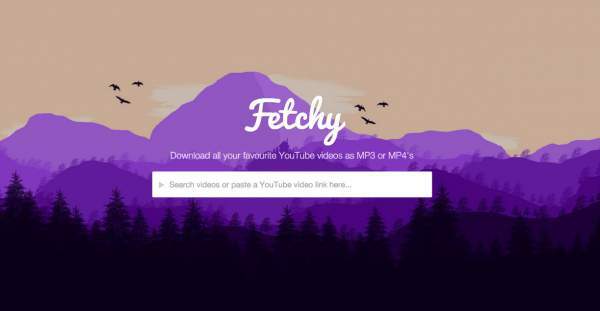 This is the list of YouTube to mp3 online converter sites available for free of cost. Stay tuned to TheReporterTimes for latest tech news and more how-to articles for solutions to various problems.